T3200 laptop, closed, open (Mouse for scale, NOT part of the laptop), rear and side ISA slots, and two shots of that beautiful orange gas plasma display. I don't know too much about this laptop unit. At all. I picked this up with a box of spares and a Technical Reference Manual from a chap with a fetish for AT&T 6300s. My friend got the AT&Ts, I took the T3200. 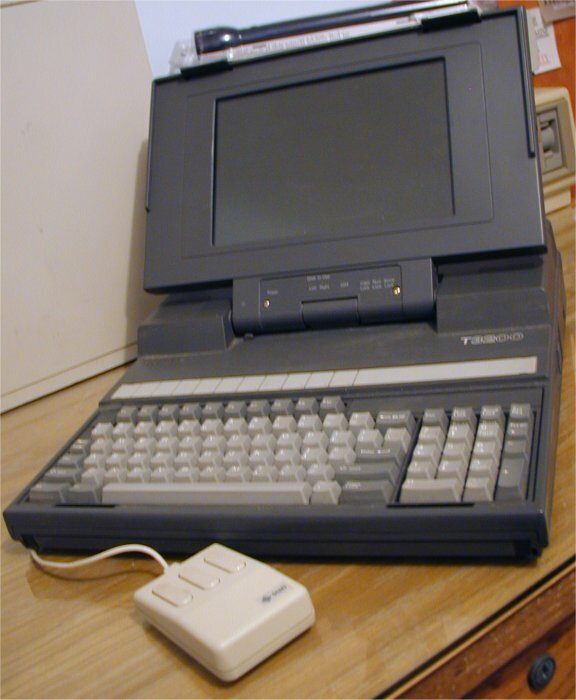 The laptop has an 8mHz 80286 processor, an internal 3.5" 1.44M floppy drive, and a 3.5" MFM 40MB hard disk. 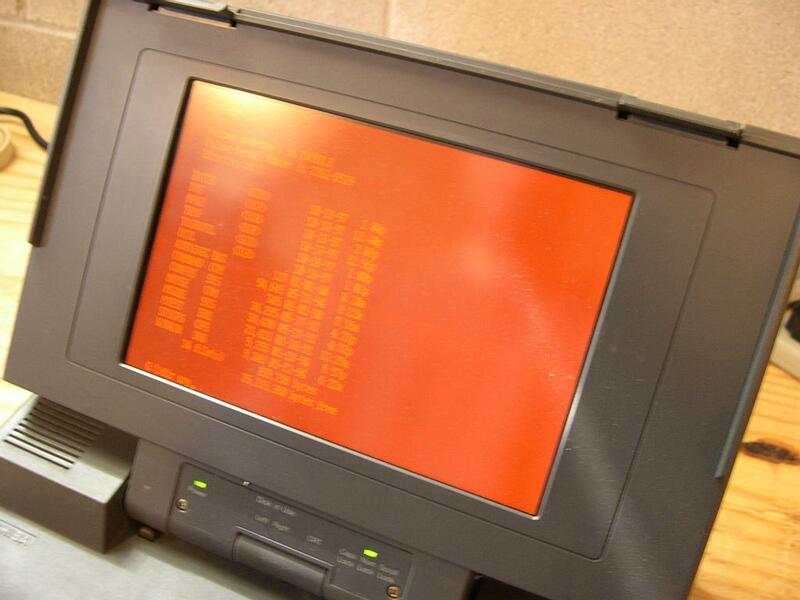 The keyboard is nearly fullsize, and is topped with a neon-orange ("day-glow") plasma screen. What the laptop DOESN'T have is a battery. At all. 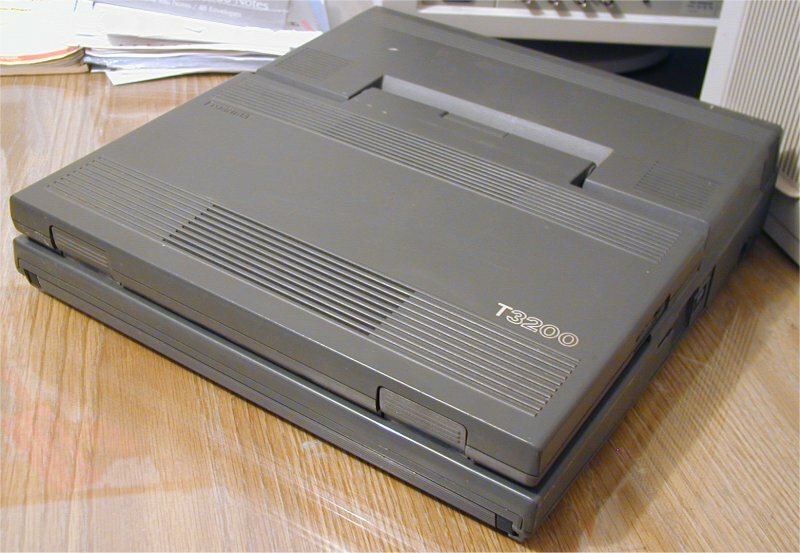 The T3200 just isn't designed to incorporate a battery, which probably makes this somewhat special as its really on the cusp of when they made portable computers into laptops - but had yet to size down the machine enough that they could power it by batteries. This means that it has to be externally powered at all times. Another cool feature is that it actually has an incorporated ISA bus, with one 8bit slot and one 16bit slot, that you can put your own ISA card into for whatever purpose. 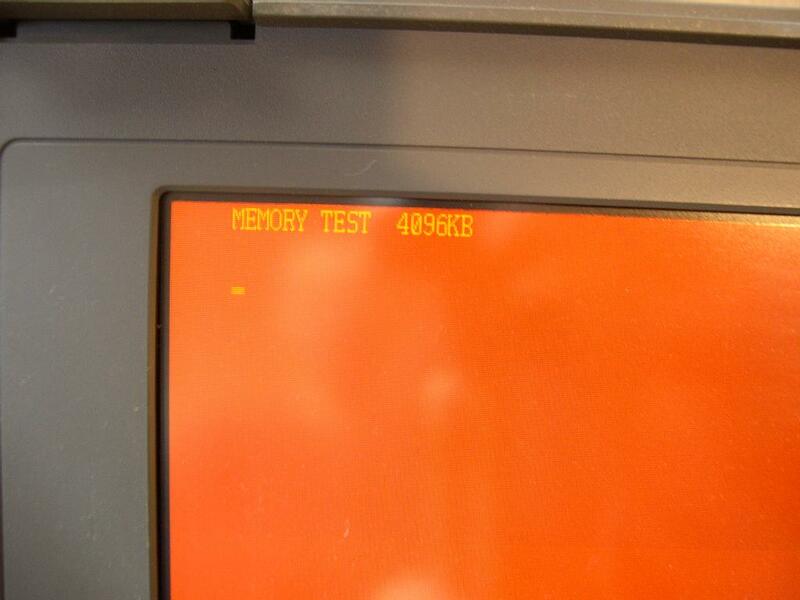 I'm lucky in that the chap that had this before me was a real computer faithfull, and bought a quantity of spare parts. 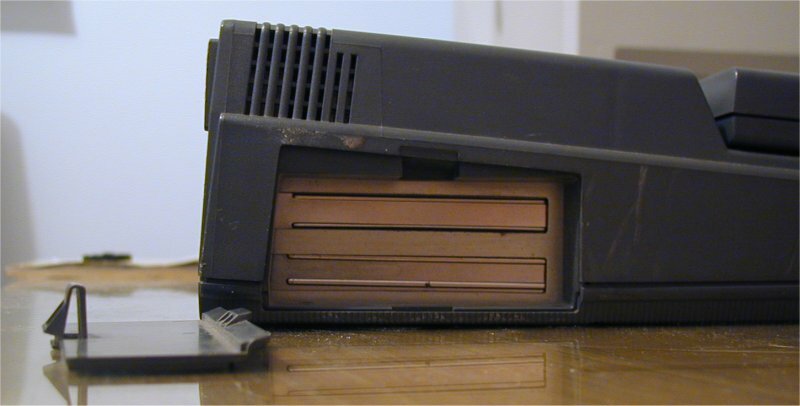 In actual fact I have a spare: Hard disk, floppy drive, keyboard, plasma screen, ISA backplane and various brackets, screws and covers. The parts also came with a link kit to allow you to hook the laptop into a PC, and use the PC's floppy drive... Or something like that.